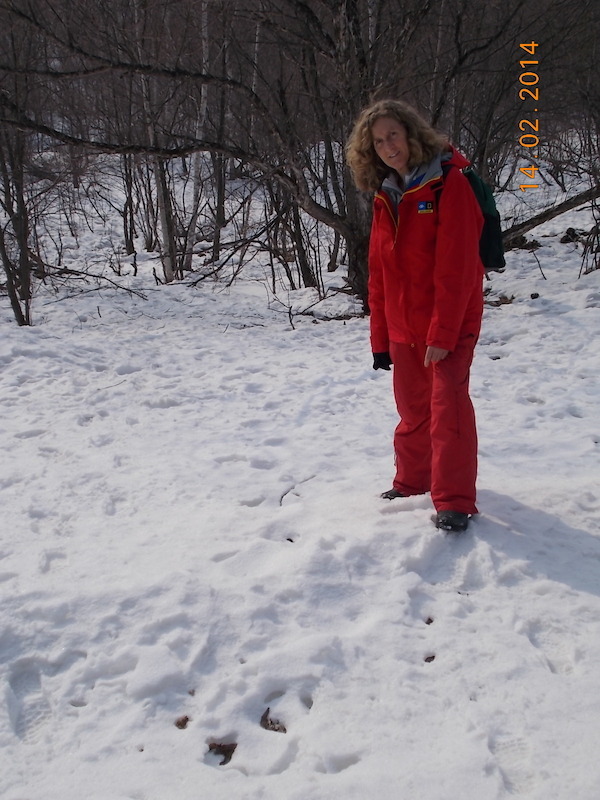 Under blue skies and walking on sheet ice I boldly went tracking the Amur tiger with colleague Prof. Dr Guangshun Jiang, Executive Director of the Chinese State Administration Feline Research Center. 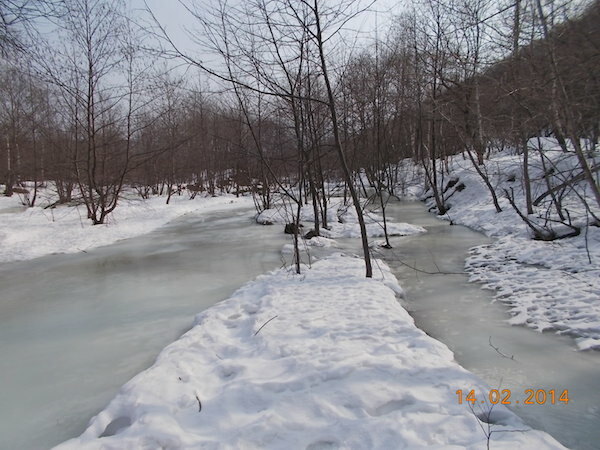 We hiked across frozen rivers, up and down the beautiful hills of the Hunchun Nature Reserve in north-east China, and came to the spot where a femaie tiger and her three cubs had walked just a few weeks earlier…. We didn’t find this tiger but we checked camera traps and it was easy to believe this female might be one of the new resident tigers China is trying to attract over the border from the Russian Far East, just 11km away.